The BagBoy Lite Rider Pro Cart Bag has been designed to be the “cart bag with everything” and meet the demands of the golfer who uses a trolley or buggy. BagBoy have used a lightweight construction that makes the bag only weigh 2.39 kg empty. 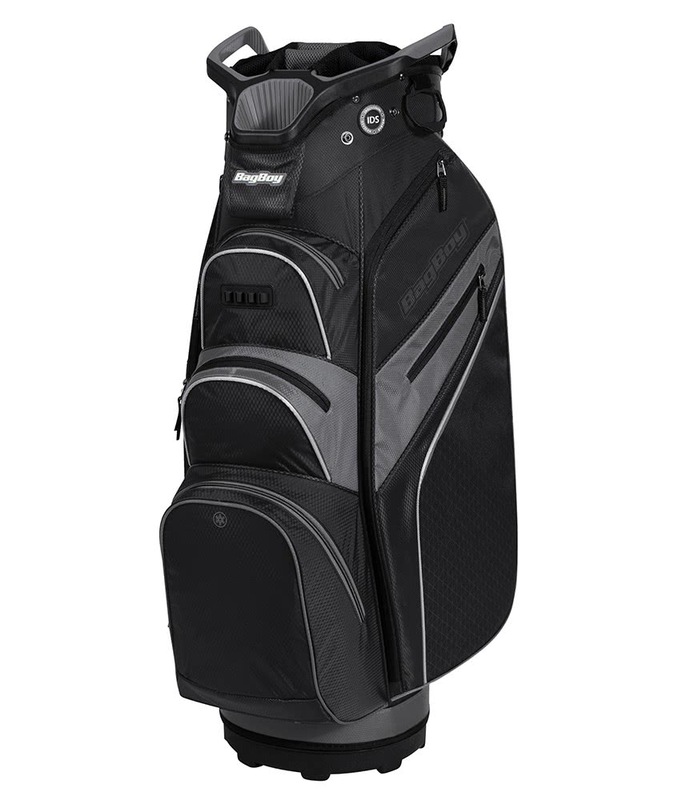 A 15-way organiser top with full length individual divider system technology delivers excellent club management, shaft protection and prevents club crowding at the base of the bag. 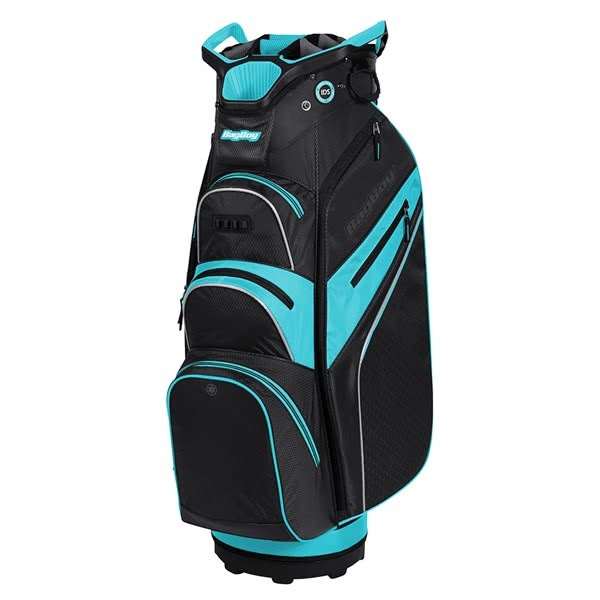 Integrated into the top design are two grab handles, two other grab handles located along the spin o the Lite Rider Pro Cart Bag provides easier lifting, loading and lowering. A total of seven strategically positioned pockets have been used to provide maximum storage, included in the seven pockets are an oversized insulated cooler pocket, Large ball pocket and fleece lined valuables pocket and two large apparel pockets. The Lite Rider Pro Cart Bag also features BagBoy TOP-LOK technology that will allow you to securely fix your bag to a compatible BagBoy trolley.